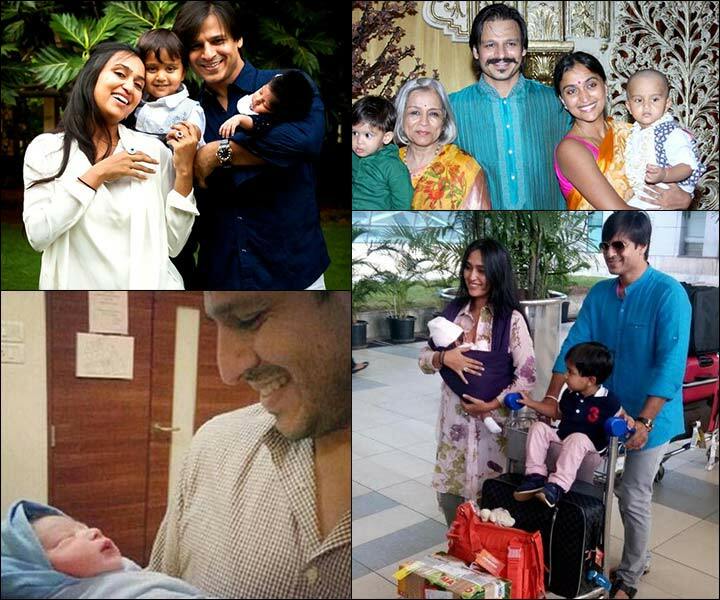 Vivek Oberoi Wedding: When cupid strikes, nothing feels lovelier than weaving dreams together with your loved one. And this was what brought Priyanka and Vivek together. We all know about the ups and downs in the life of the Prince of Bollywood, Vivek Oberoi. But the sudden announcement of his wedding took us all by surprise. With our hearts broken, we just had one question in mind — Who was Priyanka Alva? Priyanka Alva is the daughter of former Karnataka minister Jeevaraj Alva and a well-known social worker Nandini Alva. A graduate in Business Administration from Royal Holloway, she took keen interest in works of art and other social work. 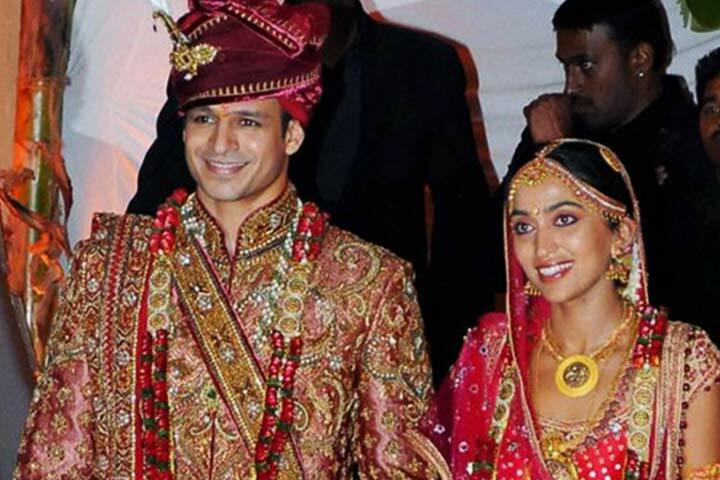 Vivek Oberoi wedding took place in Bangalore on 29th of October 2010. Attended by a mix of Bollywood celebrities and political party leaders, their grand wedding got everybody talking. Their mandap was designed with twenty-five thousand Swarovski crystals, and included imported flowers from Italy and Czechoslovakia. 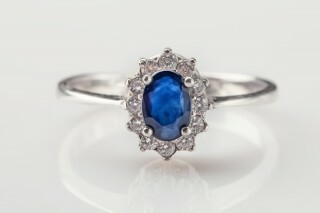 The grandeur of the wedding reflected opulence and the affluence of the rich and the famous. The ace couturier Tarun Tahiliani designed the bridal trousseau for Priyanka, and viewed Priyanka as a maharani, and Vivek as her maharaja on Vivek oberoi wedding day. 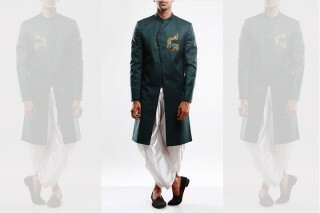 Vivek’s sherwani was set in deep maroon brocade, and it looked very regal. It was customary for Vivek to carry a sword to the wedding. Dearest Priyanka ordered a bespoke sword for Vivek, the sheath of which was designed by Tarun himself — rich brocade encrusted with precious stones. 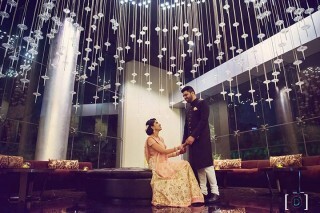 Priyanka’s bridal lehenga had fourteen colours on the panels with peacock motifs all over. Priyanka donned her gold heirloom jewellery studded with radiant rubies. The couple did not look anything less than a king and a queen. 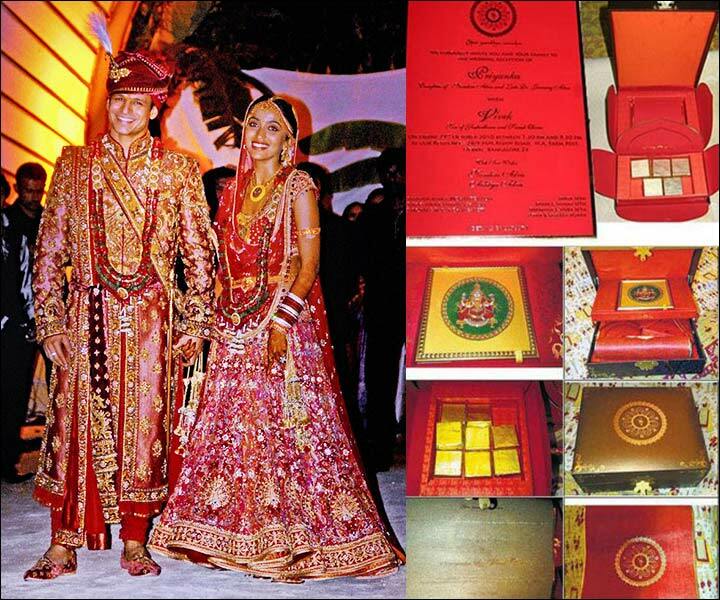 The wedding invites were designed by the NGO run by Priyanka’s mother, Nandini Alva. The invite was designed in the style of an elegant jewellery box, covered in velvet. The special invitees invitations carried the unique, limited edition Ghanjifa paintings as well. This eco-friendly invite was decorated with crushed gemstones and real gold making them the costliest wedding invites ever made. Divided into two compartments, the invite carried delicious chocolates, invites to various functions, car pass, and directions to the venue. 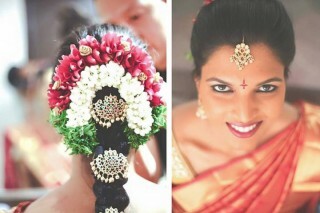 It was the perfect Bollywood ultra-fabulous wedding. Vivek is in love with his wife and his life. After a long day’s work when Vivek goes home and holds Priyanka, her presence and love make him feel that everything will be all right, and that tomorrow is going to be a beautiful beginning to a brand new day. 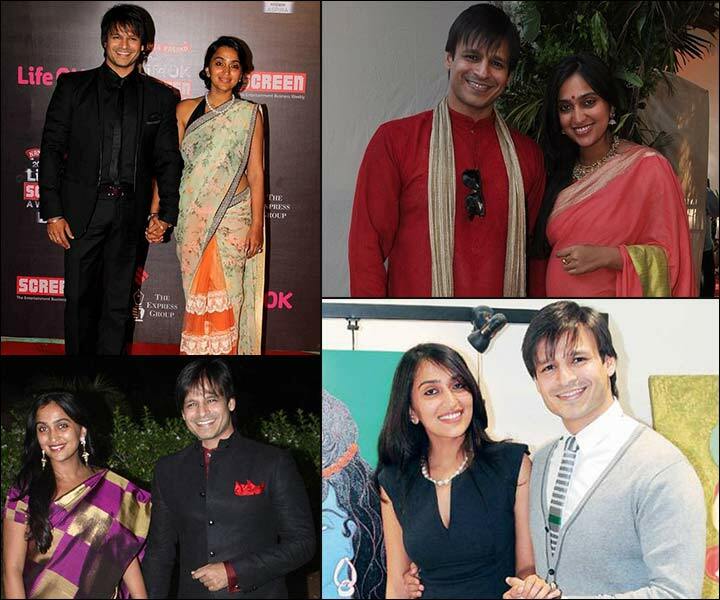 Five years later after the vivek oberoi wedding, their love continues to blossom. Both make an effort to be there for one another. Often Priyanka is seen accompanying Vivek to shoots so that they can spend more time together. Being a superstar’s wife does not affect Priyanka. Away from the crazy paparazzis, Priyanka is down-to-earth, absolutely rooted to being herself, and does not shy away from shopping at local markets. With a two-year-old son Viaan, and a few-months-old daughter, the couple is growing and moving forward as a family of four now. The Priyanka-Vivek wedding is indeed a certified faitytale.